NC Beer Month isn't over yet. You still have some time to enter the NC Beer Month Getaway contest. The winner will be announced soon! Is it going to be you? Now that NC Beer month is nearly ended, a new journey begins. 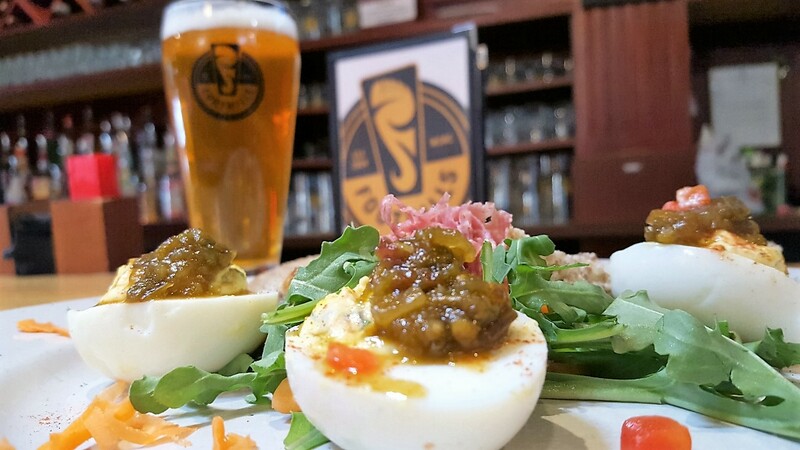 The journey to Winston-Salem for you: The month of April was a celebration of local beer, history and opportunity to get in the mood to drink AND cook and dine with beer. Every month is a cause for celebration in the City of Arts and Innovation. Foothills Brewing is the city's most renowned brewpub and boasts to have the longest bar in the county. Brewpub is a portmanteau of "brewery" and "public house", an establishment for everyone. Not only can you attend beer school the first Saturday of each month, you can order some of the best food in the area: fried pickles, hand-pattied burgers, or even apple stuffed trout wrapped in bacon with a lemon caper sauce. There's something for everyone. Photo Courtesy / Small Batch Beer Co.
Small Batch Beer Co. is exactly as it sounds: small batches of beer, brewed ONE barrel at a time. Many of which are seasonal and once the keg is tapped, that style of beer is gone within hours. Leaning on house classics like Percolator (coffee stout) , Hefe Vice (Hefeweizen) , and Mr. Lemon Man IPA, upscale bar food is also on the menu alongside its palate-cleansing brethren. Try the BB Burger (BB stands for Burger Batch, a highly anticipated restaurant annex to the brewery) made with local Joyce Farms Grass-fed Beef, American Cheese and a special sauce or the Cluck Norris, a crispy marinated chicken breast garnished Southern style, with pickles. 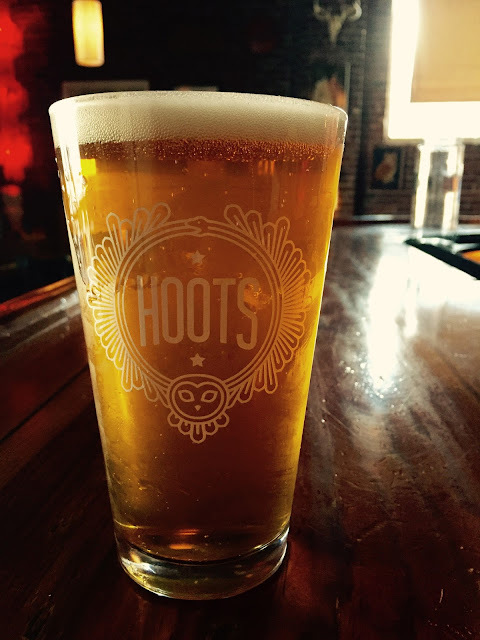 Hoots Roller Bar & Beer Co is housed in a refurbished flour mill. The reclaimed wood of the bar sets the tone for seasonal brews such as the Gashopper IPA, a nod to the building's neighbor; the Zinzendorf Saison, an homage to an old area hotel; Or the Creekside Pale Ale, another mention of an area landmark. While the brewery does not serve food, a mere 100 feet away, The Porch Kitchen And Cantina serves some of the best Tex-Mex cuisine this side of I-40. Beer isn't the only spirit on Winston-Salem's mind, as we have two distilleries open to the public as well. Around the corner from Hoots Roller Bar, Sutlers Gin offers tours and tastes of the smoothest, finest gin produced in a century in Winston-Salem. Located one half-mile away, Broad Branch Distillery is open for tours and samples as well. By importing water from Wilkes County, North Carolina (unofficial moonshine capital of the world), Broad Branch produces four different proofs of grain alcohol for your drinking pleasure. And speaking of pleasure, I had the fortunate pleasure and opportunity to travel across the state of North Carolina and stop at select Lowes Foods to share the beer story of Winston-Salem and recipes using the best craft beer in the Piedmont Triad. I formulated a handful of recipes just for this NC Beer Month collaboration with Visit Winston-Salem and Lowes Foods and it was truly a pleasure and a joy sharing my love of craft beer and food. Hopefully you'll continue down the road with me and experience all Winston-Salem has to offer as a beer destination and more.